At Quality Sleep Services, we specialize in non-invasive Oral Appliance Therapy as our primary means of treating OSA. However, we have briefly outlined several other common treatments to OSA as well. Should our diagnosis reveal that other treatments may be more effective for your condition, we can refer you to the appropriate specialists to ensure that you receive the care you need. Oral Appliance Therapy involves the selection, fitting, and use of a specifically designed oral appliance worn during sleep to treat snoring and OSA. These appliances help prevent the collapse of the tongue and soft tissues in the back of the throat, keeping the airway open during sleep and promoting adequate air intake. The devices may be used alone or in tandem with other treatments for OSA. Patients with moderate to severe OSA who are intolerant of or refuse treatment with nasal PAP. Oral appliances are also recommended for patients who refuse treatment, or are not candidates for tonsillectomy and adenoidectomy, craniofacial operations or tracheotomy. Mandibular Repositioning Appliances reposition and maintain the lower jaw in a protruded position during sleep. This serves to open the airway by indirectly pulling the tongue forward, stimulating activity of the muscles in the tongue and making it more rigid. The device also holds lower jaw and other structures in a stable position to prevent opening of the mouth. QSS patients will be prescribed a Herbst Appliance, which allows for lateral and vertical movement without disengaging the device. We work with you to find the best fit for maximum comfort, allowing you to breathe easily when you sleep and lead a better, fuller waking life. Contact us to schedule an appointment and learn if our Oral Appliance Therapy is a good option for you. Positive Airway Pressure (PAP) treatments for OSA require patients to wear a face or nasal mask during sleep. A pump connected to the mask channels airflow into nasal passages in order to keep the airway open. Variations of PAP devices include Continuous Positive Airway Pressure (CPAP), Bilevel Positive Airway Pressure (BiPAP), Variable Positive Airway Pressure (VPAP), and more. The differences between these machines lies in the strength and consistency of air pressure being pumped through the device, with CPAP representing the most common of these options. Additional information on PAP devices can be found at the American Sleep Apnea Association website. For patients who suffer from moderate to severe OSA and have been unable to find success with other treatments, surgery could be the best option. The airway pattern and severity of condition may differ greatly between individuals, and the surgery should be calibrated very specifically to each patient. Nasal Surgery: for patients where nasal obstruction and congestion are the primary cause of OSA. Often, this will be an outpatient procedure. UPPP: Uvulopalatopharyngoplasty (UPPP) has been one of the most common OSA procedures and involves removing excess tissue from the soft palate and pharynx, as well as tonsils if present. UPPP requires an overnight stay at the hospital, as the recovery process is a painful one. Soft Palate Implants: Soft Palate Implants, or The Pillar Procedure, involves inserting three polyester rods onto the soft palate, causing an inflammatory response in the surrounding soft tissues and a stiffening of the soft palate. This makes the soft palate less likely to come into contact with the back wall of the pharynx during sleep. Tracheostomy: Tracheostomy creates an avenue for air to reach the lungs directly from the trachea in the neck, bypassing potential sites of construction in the upper airway. This extreme procedure is primarily for morbidly obese patients who have failed all other forms of non-surgical and surgical treatments. For a more comprehensive list of OSA surgical procedures, visit the American Sleep Apnea Association's surgery page. For some, surgery might emerge as the optimal solution to their condition. In most cases, however, PAP and Oral Appliance therapy will be effective, yet patient noncompliance results in OSA's persistence. Surgery is highly invasive and the respiratory system is incredibly complex, with many different regions that could be potentially causing OSA. 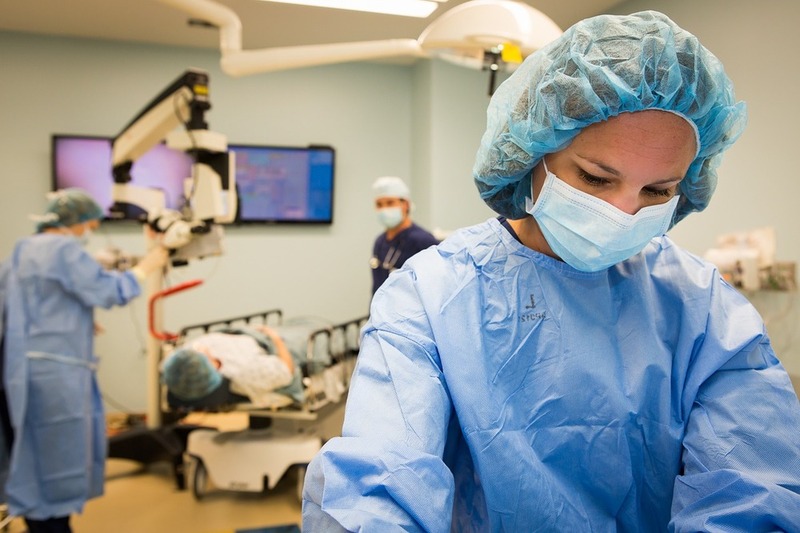 You should therefore turn to surgery as a contingency if other treatments fail, or if you truly cannot tolerate the less invasive treatment options. For overweight and obese patients suffering from sleep apnea, weight loss should be pursued in conjunction with other treatments outlined on this website. Many OSA patients struggle with obesity, and there is a strong correlation between the two conditions. Weight loss treatment plans should be tailored specifically to the patient's current health conditions, medications, and lifestyle. For example, patients with joint pain and difficulty moving could pursue hydrotherapy, which will facilitate mobility and exercise in spite of a high BMI, or arthritic hips and knees. Diet should also be strongly monitored. Although you may not feel like you are eating a lot, the food you ingest could be high in calories, sugar, and fat. The discipline and self-monitoring can be difficult to form into habit, but this will be fundamental in achieving a truly improved life.